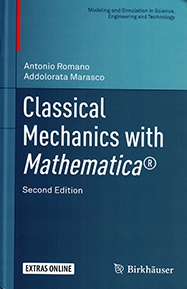 This textbook takes a broad yet thorough approach to mechanics, aimed at bridging the gap between classical analytic and modern differential geometric approaches to the subject. Developed by the authors from over 30 years of teaching experience, the presentation is designed to give students an overview of the many different models used through the history of the field―from Newton to Hamilton―while also painting a clear picture of the most modern developments. The text is organized into two parts. The first focuses on developing the mathematical framework of linear algebra and differential geometry necessary for the remainder of the book. Topics covered include tensor algebra, Euclidean and symplectic vector spaces, differential manifolds, and absolute differential calculus. The second part of the book applies these topics to kinematics, rigid body dynamics, Lagrangian and Hamiltonian dynamics, Hamilton-Jacobi theory, completely integrable systems, statistical mechanics of equilibrium, and impulsive dynamics, among others. This new edition has been completely revised and updated and now includes almost 200 exercises, as well as new chapters on celestial mechanics, one-dimensional continuous systems, and variational calculus with applications. Several Mathematica notebooks are available to download that will further aid students in their understanding of some of the more difficult material. Unique in its scope of coverage and method of approach, Classical Mechanics with Mathematica will be useful resource for graduate students and advanced undergraduates in applied mathematics and physics who hope to gain a deeper understanding of mechanics.